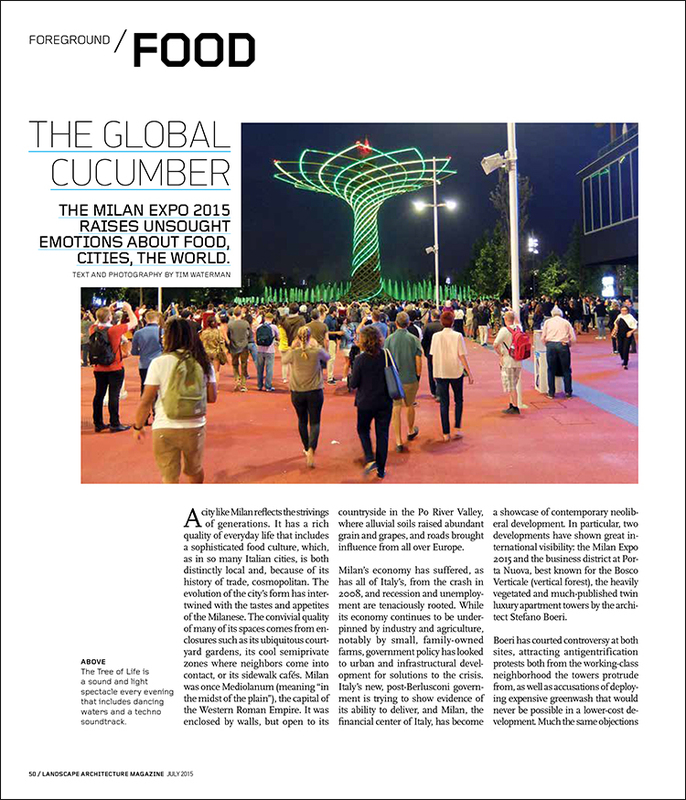 The Milan Expo 2015 raises unsought emotions about food, cities, the world. A city like Milan reflects the strivings of generations. It has a rich quality of everyday life that includes a sophisticated food culture, which, as in so many Italian cities, is both distinctly local and, because of its history of trade, cosmopolitan. The evolution of the city’s form has intertwined with the tastes and appetites of the Milanese. 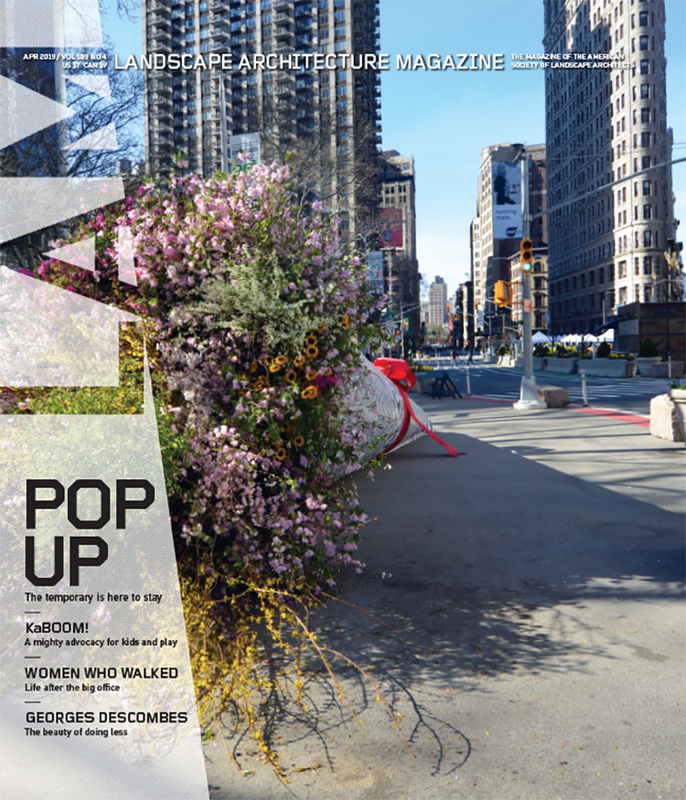 The convivial quality of many of its spaces comes from enclosures such as its ubiquitous courtyard gardens, its cool semiprivate zones where neighbors come into contact, or its sidewalk cafés. Milan was once Mediolanum (meaning “in the midst of the plain”), the capital of the Western Roman Empire. It was enclosed by walls, but open to its countryside in the Po River Valley, where alluvial soils raised abundant grain and grapes, and roads brought influence from all over Europe. Milan’s economy has suffered, as has all of Italy’s, from the crash in 2008, and recession and unemployment are tenaciously rooted. While its economy continues to be underpinned by industry and agriculture, notably by small, family-owned farms, government policy has looked to urban and infrastructural development for solutions to the crisis. Italy’s new, post-Berlusconi government is trying to show evidence of its ability to deliver, and Milan, the financial center of Italy, has become a showcase of contemporary neoliberal development. In particular, two developments have shown great international visibility: the Milan Expo 2015 and the business district at Porta Nuova, best known for the Bosco Verticale (vertical forest), the heavily vegetated and much-published twin luxury apartment towers by the architect Stefano Boeri. Boeri has courted controversy at both sites, attracting antigentrification protests both from the working-class neighborhood the towers protrude from, as well as accusations of deploying expensive greenwash that would never be possible in a lower-cost development. Much the same objections have been raised against the plans for this year’s expo in Milan, which he master planned with Jacques Herzog, William McDonough, and Ricky Burdett. “Feeding the Planet, Energy for Life” is the expo’s motto, meant, as it was, to embody a sustainable ethic, but it clashed with the presence of food giants such as McDonald’s and Coca-Cola among the nations represented. Lavish spending on the project further excited anger, as many people questioned the concentration of municipal spending on one site instead of many, and the inevitable siphoning away of funds that such concentration engenders. On May Day in Milan, cars blazed in the streets, windows were smashed, and ‘No Expo’ graffiti proliferated.